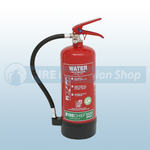 Available from Fire Protection Shop are the FireChief XTR 3 and 6 Litre EcoSpray Water Additive Fire Extinguishers. The extinguishers contain a powerful 'EcoSpray' additive - fluoro free to protect the environment. They are designed, developed and tested in the UK for use on A-class fires these products carry the well-known Kitemark, LPCB and MED certification. The high performance of these units make them ideal for environments where manual handling restrictions apply. 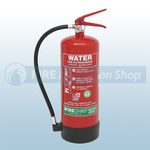 These Fire Extinguishers offer protection against class A type fires.